Synopsis: (From Goodreads) Aric Brennan is a whisperer – a perfectly engineered human/alien hybrid, designed specifically to charm and seduce. When Lucy is stalked by his unearthly creators, she has no choice but to trust him to help her navigate a way through a horrifying reality – a reality filled with creatures which should really only exist in nightmares. Review: Lucy has a mum who is in a psychiatric ward a father who is M.I.A and she has been shipped around from relative to relative until she winds up at her Uncle Tom’s farm where she finally begins to feel at home. When good-looking Aric starts working on her uncle’s farm her future starts to look even brighter. One night when she is out camping with Aric, Lucy realises that the Earth she has known is not all that it seems when she comes face to face to some creepy aliens. Aric has also been keeping a secret from her, he is an alien-human hybrid and his alien race the Innaki think there’s something special about Lucy and want to her away to their planet to study her. Aric and Lucy end up on the run to outsmart these aliens along with some blood-sucking monsters while she also tries to be just an average teenager girl with a very attractive alien boyfriend. Starcrossed is the debut paranormal novel written by Aussie indie author Tracey Lee Campbell. It was an enjoyable read and I was quite surprised by the aliens and monsters in this story making it a nice spin on this genre. The story was a little slow to start where the author lays the foundations for character development and the developing romance between Aric and Lucy. I’m still not quite sure why he was interested in Lucy who is described as an average teen and he is a 900 year old alien-human but the romance was sweet nevertheless. I was a little disappointed that the author chose not to use Australia as the setting, but I do understand that most ‘alien sightings’ and whatnot have happened in the U.S so it makes sense to base it there. Tracey talks about her choice in location on her blog. Overall this is an entertaining read and if you would like a splash of romance, alien kidnappers and super powers then Starcrossed will be right up your alley! About the author: Tracey Lee Campbell grew up in Sydney, Australia, before moving to Queensland as a teen. She has been writing stories since she was very young and wrote her first manuscript when she was just ten years old. She has always had an interest in things which can be classed as ‘highly strange’, the mysterious and the spooky. In 2010 she decided to combine her two passions to produce a paranormal romance series. 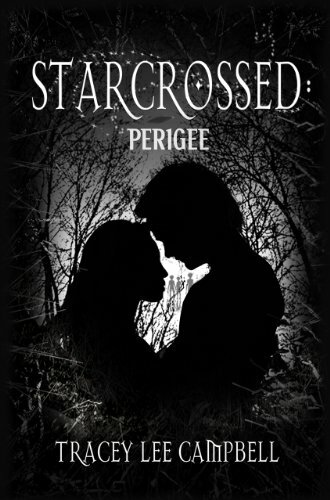 The book, Starcrossed: Perigee, is the first in the trilogy. Tracey lives in Australia with her husband and children. More information on further titles in the Starcrossed series can be found at: www.starcrossedthebook.com. Tracey is currently working on the second book in the Starcrossed Trilogy, Dark Matter. Tracey also stopped by The Australian Bookshelf a few months back for a guest post about why she writes, so check it out! Aussie August Month:In a nutshell, Aussie August is a month to celebrate all the awesomeness that is Australian young adult literature. Eleven bloggers are featured, but that doesn’t mean that you can’t participate too! So get reading! There are plenty more giveaways to be posted during the month @ The Australian Bookshelf and at all the other stops during the month, so please check back in and try your luck! 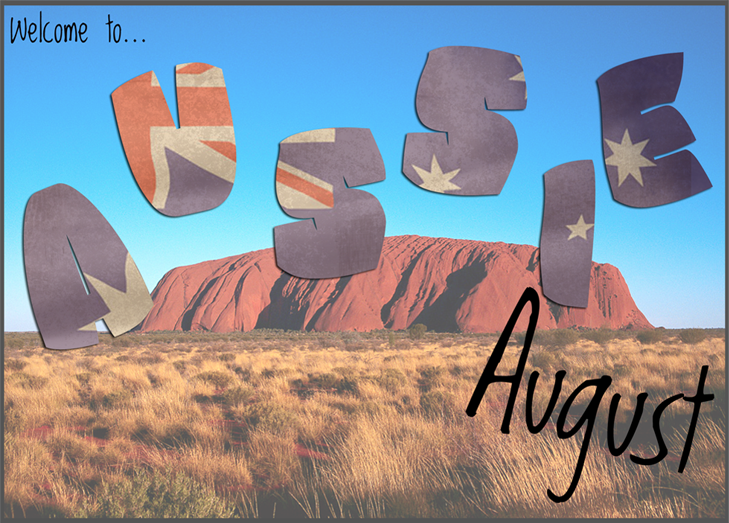 View the Aussie August schedule and enter the Mega Aussie Author Giveaway! I’ve been thinking of reading this book …its had a lot of great reviews. I’ve enjoyed your blog and am now stalking you on twitter as Mc_CARVER;) JK! Please if you have time stop by my blog and say hi and enter in my giveaway!